1. Preheat the oven to 220C(428F) and line a baking sheet with parchment paper. 2. Cut each square of puff pastry into 4 mini squares. 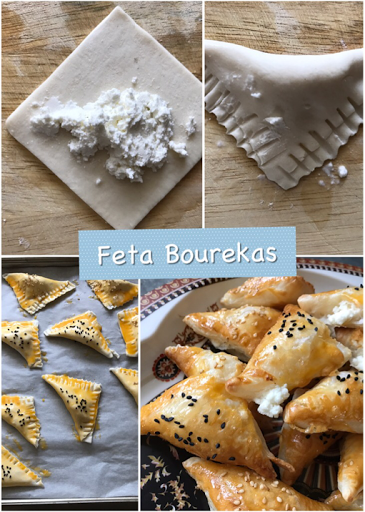 Place about 2 teaspoons of the crumbled feta cheese in the center of each mini square. 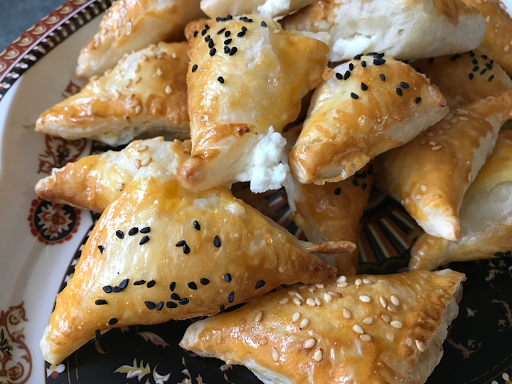 Fold the dough squares by grasping one corner and folding it over to the opposite corner to make triangles. Pinch firmly along the outer open edge of the triangles to seal. If you're having trouble sealing the dough and getting it to stick together, wet your finger with a bit of water and run it around the edge of the square before folding this will help it stick together. Crimp the edges with a fork. 3. Place on lined baking sheet and brush top with egg yolk. 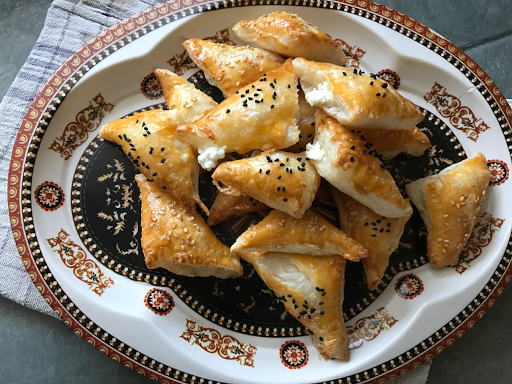 Sprinkle the bourekas with sesame seeds, poppy seeds or nigella seeds. 4. Bake in preheated oven for about 10 to 15 minutes or until golden brown.